Arnhem: please reduce the amount of German cats and tanks and replace them by light vehicles like Kübelwagen or halftruck. I think one or two cats are enough plus one or two Stug or StuH. Rheinübung: how long is the respawn time of the big ships? I think 5 mins. would be good. The Great Pursuit: pls do something the lying bug! This bug destroy the whole map! Remagen: Add to allied T95 GMC and delete the Super Pershing. Add Arado bomber( or a good bomber plane) for the Germans. Replace some Flak 88 guns in the german side with other, big caliber guns ( to destroy the T95 GMC). I think this map need a big re-edit. Is this even possible using SSM? The Super Pershing atleast fits there historically and is already tough nut to crack, not saying about the T95. Regarding Arado, there are atleast two bomber kits with it on this map. Regarding Arado, there are atleast two bomber kits with it on this map. I found one bomber kit. (Arado Bomber kit) I'm not found the another bomber kit (idk where are the another one bomber kit). But, yeah, you are right. Stuka, Mustang, and another bomber kits is ok. Effects, textures and sounds are all client side. It might be possible to add it to the S&T Pack. Here's a trick: The higher you look up while calling an airstrike the lower the plane flies. That was really silly what develeopers had done to Arnhem. I mean they granted additional tanks to Germans, decreasing the PIAT ammo count from 4 to 2 at the same time. Are you OK with these adjustments? I think all those changes mentioned are OK. Not sure about removing the polish tanks on Warsaw uprising, but we will see how it goes in practice. It makes sense for them, I've seen a few gameplay videos from pre-0.55 and Germans got absolutely slaughtered on the bridge by dozens of piat rockets and expacks coming from every direction. 20 vs 70 players makes a huge difference. Remagen: An idea might be to also remove the most northern flag to concentrate the action more, we have done that before iirc. Rheinuebung: respawn time for destroyers/subs might be a bit too long, we'll see. I'm also not sure about the random respawn time, up to 50s faster respawn could affect balance a bit. Rest looks good thanks. For the future please also add your changes to the OP to have a better overview. 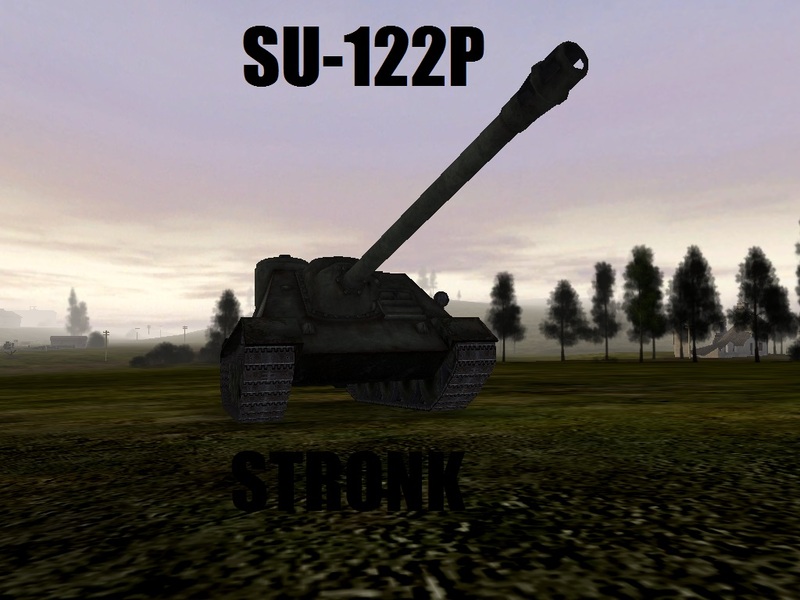 @starking: It's only one Polish tank removed, it's a historic maps and it doesn't make sense to me that the AK would have a 14TP. I thought it was the polish captured Panther that was removed, but I see it was not removed, so it is OK.
For Rheinuebung, when I think about it, we better have some naval vessels for both teams that respawn quickly so that the naval battle can go on and not turn into ships vs. only planes once one team's ships get sunk. For the future please also add your changes to the OP to have a better overview. No, as long as these don't get discussed and accepted. This is the "ghost" of the tank caught by the death bubble. It occurs when a flag is attempted to be captured regardless of the push map order. To keep the tanks out of the bridge flag I made extra sandbag walls. These go vanished as soon as both flags numbered "1" get captured by Axis. 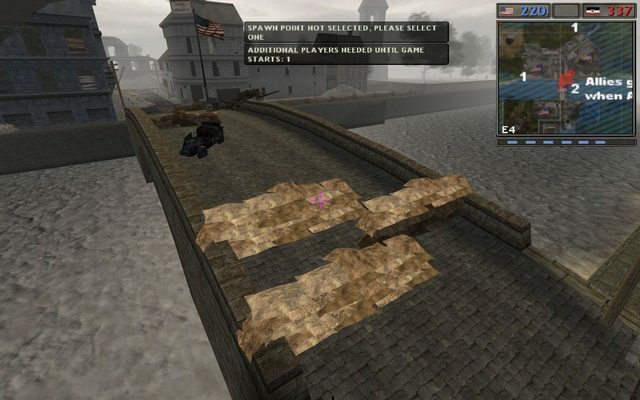 Would using that techinque work to add an out of bounds to a map too? Yes, most probably yes, however this will not affect the mini map, whatsoever. Transcarpathia: In the Hungarian base have one bomber kit with Ju87 Stuka bomber kit. Spawning if start the map, but spawning Once, and never more. Pls spawn this 5 minutes. Soivets too overpowered in this map :(.